RED Brick Image 1.4 available! We released the new RED Brick Image Version 1.4 today. It is super awesome, we highly recommend that you update! 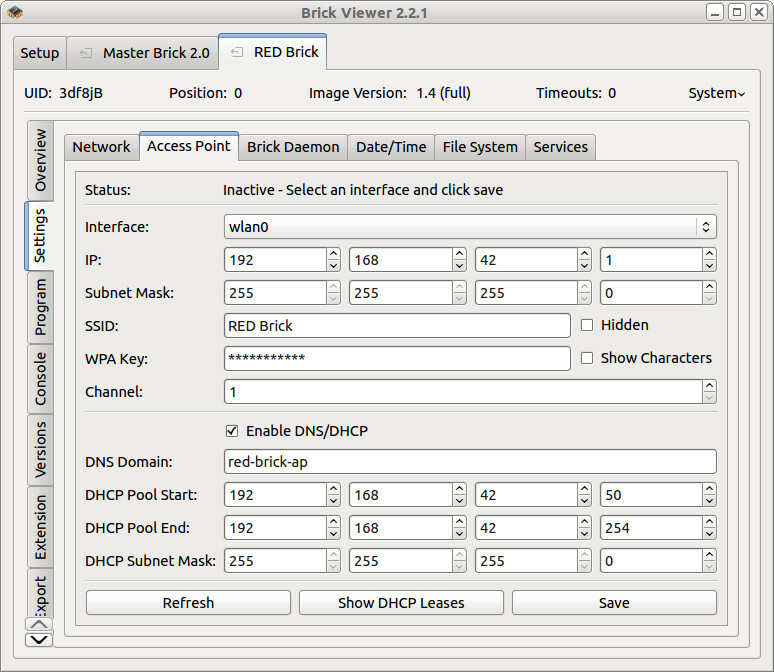 The new features in the new image can be used with Brick Viewer Version >= 2.2.2. Fast Image and the Full Image are merged into one image. The differences between these images, for example the start of a desktop environment, are implemented as services which can be independently activated. You can now turn services on and off with the Brick Viewer and switch back and forth between the Fast Image and the Full Image on the fly. If you turn all of the services off (equivalent to the old Fast Image) the RED Brick will now boot incredibly fast! It only takes 10.7 seconds for the RED Brick to completely boot up and being available in Brick Viewer. To achieve this speed we had to switch from sysvinit to systemd, which proved to be a huge improvement! 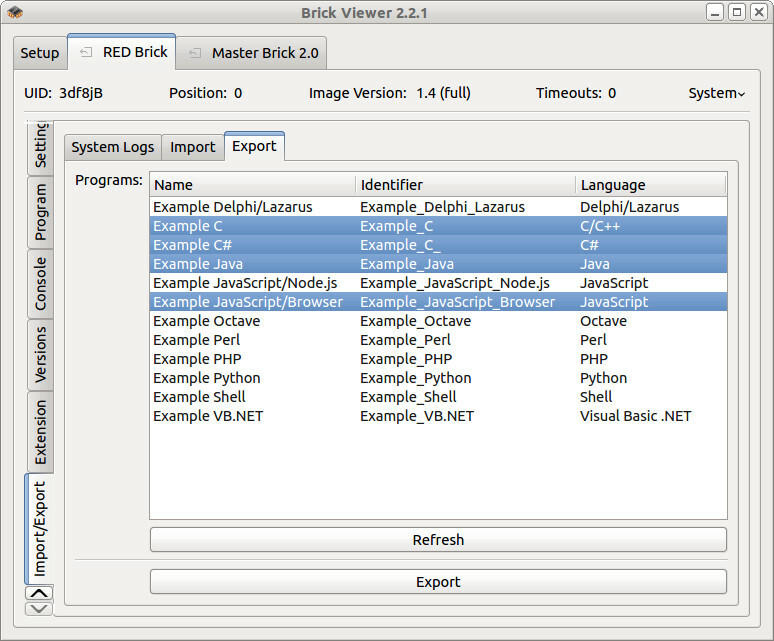 Additionally you can now import and export your programs from the RED Brick with the Brick Viewer. 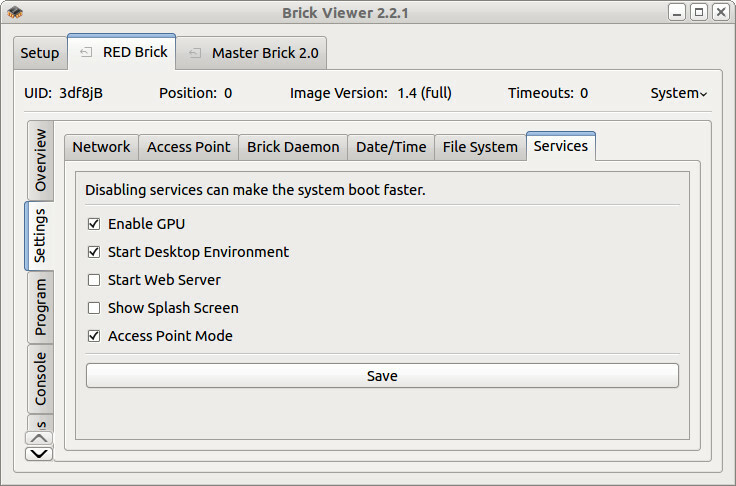 If you download the new Brick Viewer first, you can even export your programs from the old Image Version 1.3. Update the image afterwards and import your programs back again in Image Version 1.4! With this it will be really easy to update to new image versions. If you have one of our WIFI USB Adapters there is another awesome feature. You will be able to turn the RED Brick into an Access Point with just a few clicks. You can then for example directly connect to the RED Brick web interface or to the Brick Daemon on your RED Brick with a smart phone or similar. No external network equipment needed! Since we got the feedback that some of the compilers and interpreters on the RED Brick are too old, we also switched from Debian Wheezy to Debian Jessie and removed the dependency to the Raspbian repository. For example Python is now available in version 3.4 instead of 3.2. This also means that hard to fix package dependency problems occurring because of incompatibilities between the Debian wheezy and the Raspbian repository are now gone! You will now be able to apt-get anything from the Debian repositories without doing any harm ;-). We wish all of you and your families a happy, healty and tinker-heavy 2015! 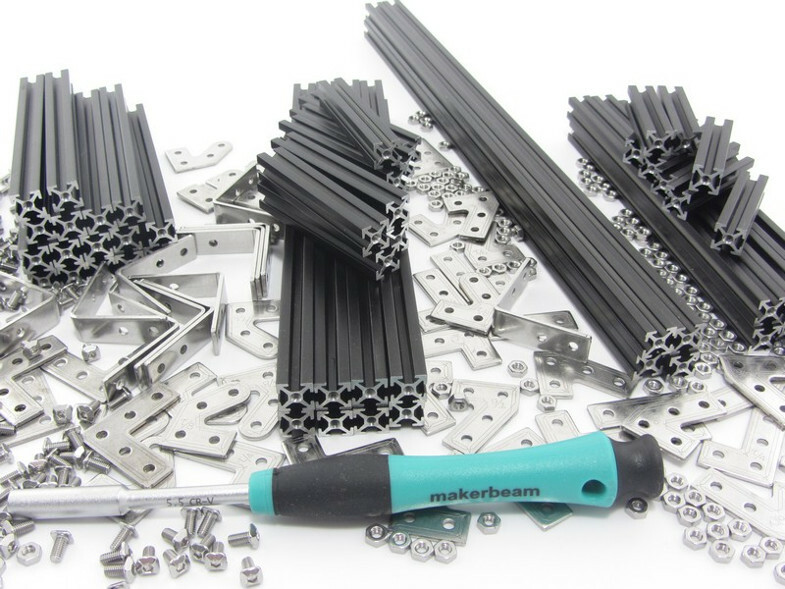 MakerBeam has reduced their prices for 2015. We will of course pass the price cuts to you, the prices in our shop have already been adjusted. The Starter Kit: MakerBeam is now available in a convenient storage box and it costs less then 100€ now! The end of the year 2014 was pretty stressful for us. The sales launch of the RED Brick shortly before Christmas resulted in a huge amount of orders, that we were able to completely ship before Christmas. During the holidays a big a amount of orders did accumulate again, we will be able to ship all of the currently open orders on either Friday or next Monday. The complexity of the RED Brick with all of its features, such as support for many programming languages, stack communication, support for Ethernet Extension, network manager etc. did result in a first image release with some bugs. All of the big blunders should be fixed in the current image (1.3). Altogether, the year 2014 was a very successful year for us. We were able to release lots of new products and kits. The highlight was of course the RED Brick. We never before had a product with such a huge development effort behind it. In 2015 we plan to enhance the RED Brick a lot. Beside the possibility to configure a WIFI access point on the RED Brick with the help of the Brick Viewer, we would like to support GSM sticks and do lots of more usability enhancements. We also already have some prototypes of Bricks and Bricklets ready that need to be tested and refined. Additionally we plan to add lots of new accessories to our shop. Thank you for the fantastic year 2014 with you! Stay tuned for for an even better 2015!